All calls returned just as soon as possible! Just click on the Atomic Kat above to visit our site. Update...>Someone asked me last week why our site is old fashion and out of date. but Your website will be built to your specificiations and needs. 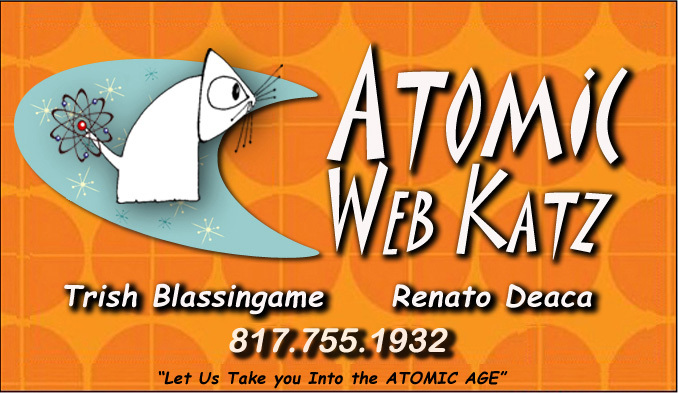 So enjoy a trip through Mid Century with Atomic Web Katz! We're not ashamed to use Comic Sans font! !